Save yourself time. 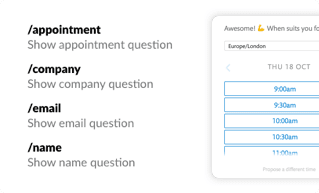 Cut out emailing back and forth and let your customers easily see what your schedule is like, so they can book a meeting that suits both of you with no time wasted. 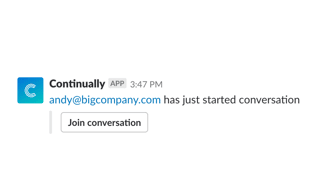 If you are using our live chat feature, once you have your calendar connected, you can send your calendar straight from slack to live customers. 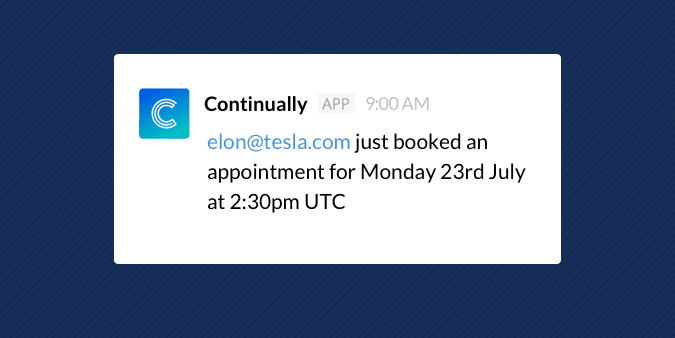 We notify you when someone books a meeting from your bot. We then send you a follow up reminder when that meeting is getting closer, so you don’t forget. Can visitors see what’s on my calendar? No. 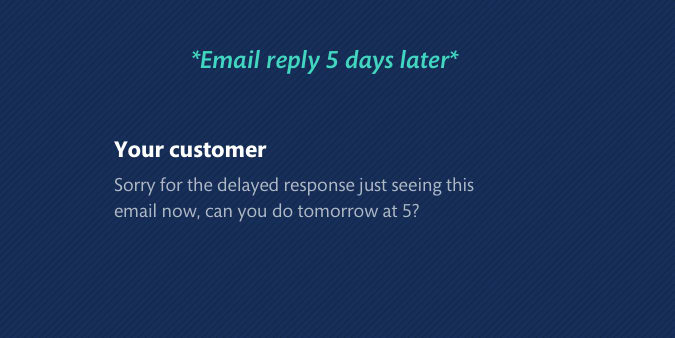 We use a combination of your calendar availability and the rules you set to offer suitable times for appointments. Can you see what’s on my calendar? No. The calendar APIs we use only tell us whether you are free or busy. We don’t see the details of what’s on your calendar. When you connect your calendar, we’ll take you to a secure sign in page at either Google Calendar of Office 365. We don’t see your password and you can revoke access at any time. 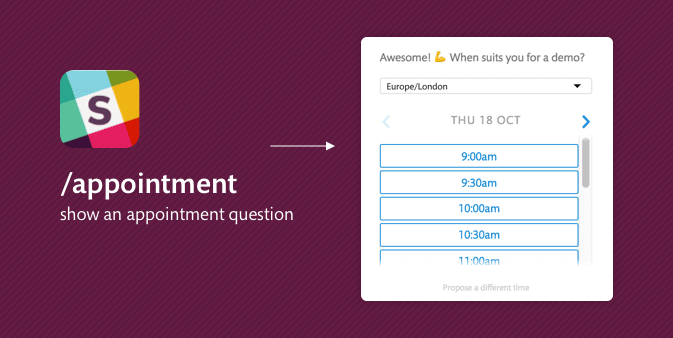 When you want to assign incoming meetings across a group, a good solution is to use a shared calendar. This lets the whole team see what appointments have been booked. 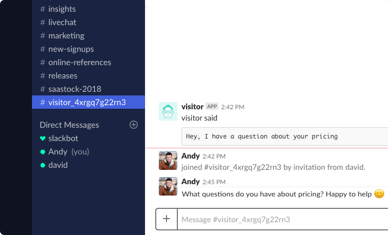 You can also have different bots assigning meetings to different calendars.